The amazing medicinal properties and beneficial components of turmeric have made it one of the most thoroughly researched plants nowadays, being the subject of more than 5600 peer-reviewed and published biomedical studies. 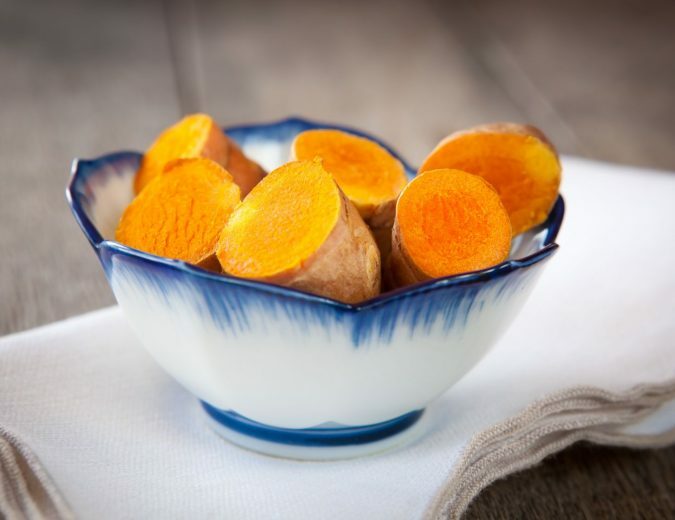 “In terms of the nutritional profile for daily recommended values (DRV), turmeric provides 26 percent of what’s needed in manganese and 16 percent in iron, along with excellent amounts of fiber, vitamin B6, potassium, vitamin C and magnesium. All of them provide benefits for better health. Scientists believe inflammation is involved in nearly every chronic disease, including obesity, and metabolic syndrome, heart disease and accompanying atherosclerosis (hardening and narrowing of the arteries), degenerative disorders and Alzheimer’s. Researchers have identified more than 600 potential preventive and therapeutic applications of this herb and even 175 distinct beneficial physiological effects. Prozac/Fluoxetine & Imipramine (antidepressants): Curcumin has been found to be more effective than both these drugs in reducing depressive behavior in an animal model. Anti-inflammatory Drugs: One 2004 study found that it is a better alternative to drugs such as aspirin, ibuprofen, sulindac, phenylbutazone, naproxen, indomethacin, diclofenac, dexamethasone, celecoxib, and tamoxifen, as it offers more powerful anti-inflammatory and anti-proliferative activity against tumor cells. Aspirin (blood thinner): Researchers have confirmed that this spice has antiplatelet and prostacyclin modulating effects compared to aspirin, so it is useful in the treatment of vascular thrombosis and in the case of an anti-arthritis therapy. Metformin (diabetes drug): Scientists have discovered that curcumin might be very useful in treating diabetes, as it activates AMPK (which increases glucose uptake) and suppresses gluconeogenic gene expression (which suppresses glucose production in the liver) in hepatoma cells. They even found that it is 500 times to 100,000 times more potent than metformin in activating AMPK and its downstream target acetyl-CoA carboxylase (ACC). Lipitor/Atorvastatin(cholesterol medication): The curcuminoids in turmeric have been found to be as effective as the drug atorvastatin (trade name Lipitor) in the treatment of endothelial dysfunction, the underlying pathology of the blood vessels that drives atherosclerosis, in association with reductions in inflammation and oxidative stress in the case of type 2 diabetes. Oxaliplatin (a chemotherapy drug): Turmeric has been shown to be as effective as oxaliplatin in terms of their antiproliferative effects in colorectal cell lines. Corticosteroids (steroid medications): Curcumin, the saffron-colored pigment of turmeric, can be favorably compared to steroids in the treatment of chronic anterior uveitis, which is an inflammatory eye disease. Furthermore, researchers have confirmed the amazing efficacy of turmeric against chemotherapy- and radiation-resistant cancers. In fact, 54 studies have proven that it can induce cell death or sensitize drug-resistant cancer cell lines to conventional treatment, and other 27 studies on have shown that it can induce cell death or sensitize multi-drug resistant cancer cell lines to conventional treatment. These findings are a strong argument for the use of this spice as an alternative cancer treatment. Yet, to reap all the benefits of turmeric, we suggest adding it in lower culinary doses to your daily meals, and instead of using it as a medication, you can use it as a powerful preventative tool and a healthy, nourishing superfood.